Sixty years ago a group of Turkish artists (two writers, a poet and a painter) made the first so-called ‘Blue Cruise’ on a small fishing boat, known as a gulet. This was the first ever Sailing Holiday on a gulet in Turkey, along the Turkish coast. Since then, Blue Cruise has become a uniquely Turkish way of enjoying coastal sailing with gulets. This first gulet had bunk beds and a toilet fitted in its hold, (where fish used to be stored), and a fresh water tank on deck. Since then, the singular design of gulets has undergone a face-lift as comfort-conscious guests seek bigger and better accommodation. Today, Turkey’s indigenous sea-going vessels blend practicality and tradition in a relaxed style for sailing holiday makers. 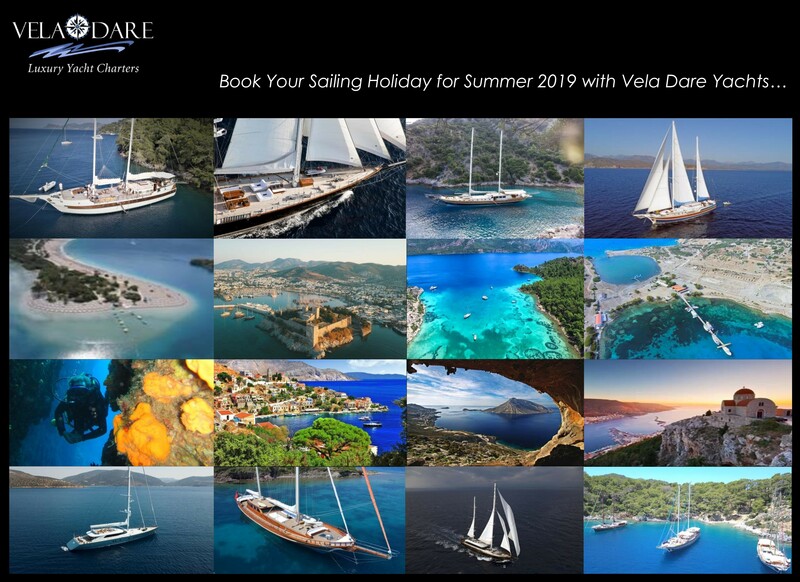 Vela Dare offers world class high quality gulets and other yachts for groups of six to sixteen for memorable sailing holidays in Turkey, Greece and Croatia. Gulets are ideal for special family and friends gathering, anniversaries, celebrations.